ConsThat bit more expensve than Wheel Manufacturing..but noticeably thinner. ProsStops damage to your crank arms when fitting pedals. Needed for Campagnolo Centaur Cranks for fitting pedals.Noticeably thinner than Wheels Manufacturing pedal washers,but thats TA Specialities for you!! What is the Outer Diameter in mm? 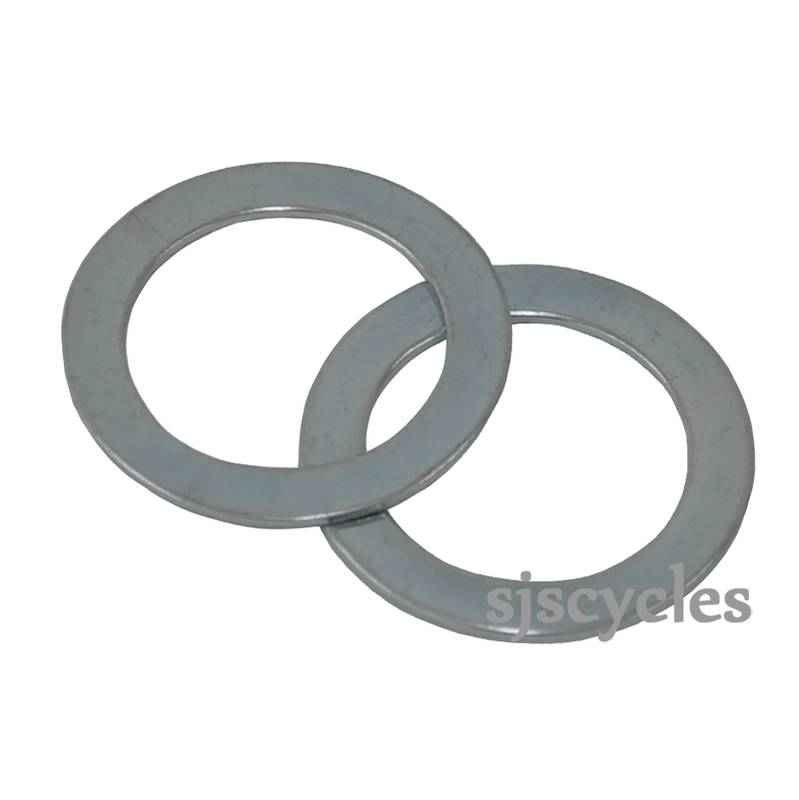 These pedal washers have an outside diameter of 19.8mm. Are these TA washers made of Titanium?, it does not say but as they are called TA pedal washers I thought maybe the TA could stand for Titanium Alloy?, which I guess is the same thing as Titanium?...or am I wrong!. Also when will you be getting more of the KCNC Titanium washers in stock please? I can not find Titanium pedal washers anywhere for sale!..for some reason I believe I must get some Titanium pedal washers for my new build, they are really important but I don't know why, maybe just my OCD playing up again. Thanks for any info?, much appreciated. No, these are just standard alloy washers. The TA is part of the manufacturers name which is Specialites TA, apologies for any confusion.